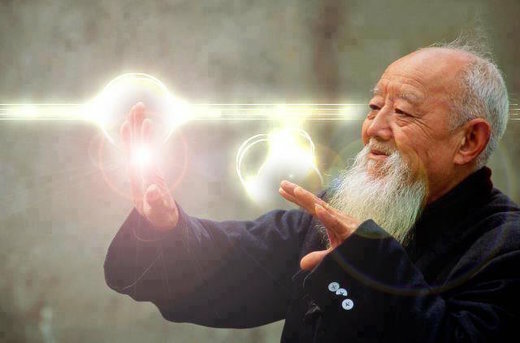 For thousands of years practitioners of eastern martial and meditative arts have been attuned to the subtle presence of chi, the life force energy that animates all living things. Masters of the cultivation and use of this energy have forever been able to perform remarkable feats of concentration, longevity and strength, yet we in the West are have always been reluctant to credit them for their mastery of something we cannot even grasp… that there is a subtle energy that connects all living things. Life is connected in ways more subtle than most of us can ordinarily sense, and Western science is way behind the curve when it comes to understanding the depth of this connection.The energy body is one of our innate super powers, and although abilities like this are typically relegated to freak show media in this rigidly thought-controlled world we live in, we all have the ability to cultivate and develop the energy body. Many modern day chi masters are revealing their secrets to the world, and while it may seem like Master Kanzawa’s powers are super-human, any one can train to develop awareness and mastery of this subtle energy. Do you have a “third eye”?